Whether you have just had to pay for costly repairs due to hail damage or you want to avoid those costs in the future one of the wisest investments you can make is a low cost hail guard. Hail damaged units with even slight damage are extremely hard to clean. Elements like dust, dirt and Cottonwood and other flying debris tend to drastically reduce the performance and efficiency of the equipment. Bottom line is the unit will run more, at an increased electrical cost and may even be unable to cool the building properly. Not to mention the reduced equipment life, due to over working and overheating. The first step would be to visually inspect the unit, if there appears to be damage, call a licensed contractor for a second opinion. Depending on the severity of the damage, the repairs may be able to be completed with a simple service call. 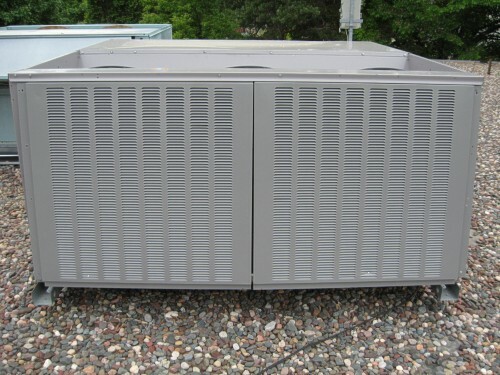 If the unit has extensive damage a coil replacement may be recommended. Whether you have just had to pay for costly repairs due to hail damage or you want to avoid those costs in the future one of the wisest investments you can make is a low cost hail guard. Hail damaged units with even slight damage are extremely hard to clean. Elements like dust, dirt and Cottonwood and other flying debris tend to drastically reduce the performance and efficiency of the equipment. Bottom line is the unit will run more, at an increased electrical cost and may even be unable to cool the building properly. Not to mention the reduced equipment life, due to over working and overheating. The first step would be to visually inspect the unit, if there appears to be damage, call a licensed contractor for a second opinion. Depending on the severity of the damage, the repairs may be able to be completed with a simple service call. 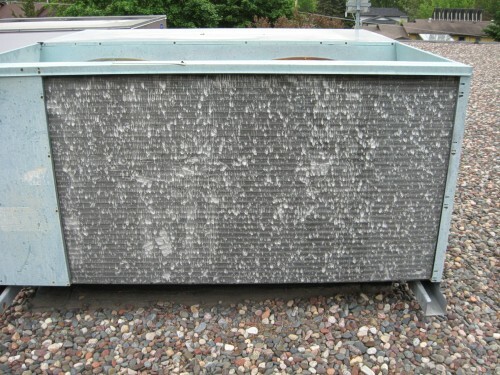 If the unit has extensive damage a coil replacement may be recommended.